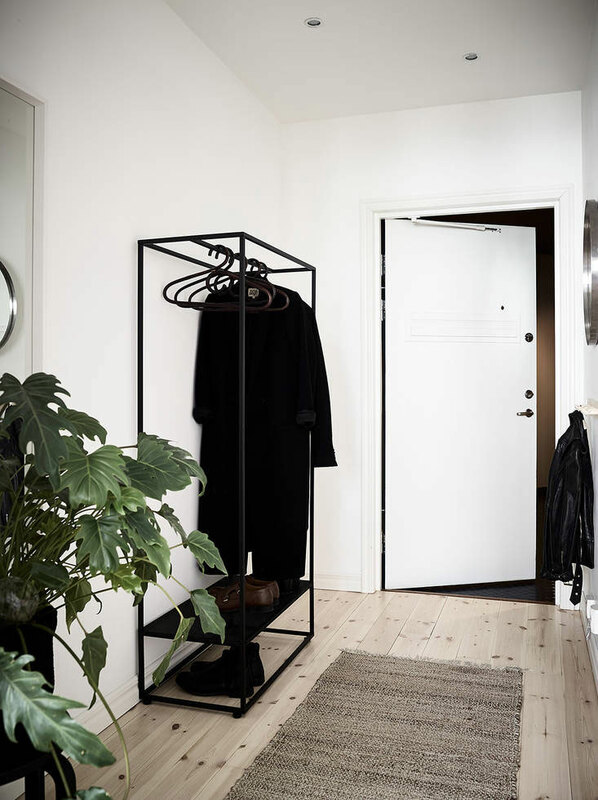 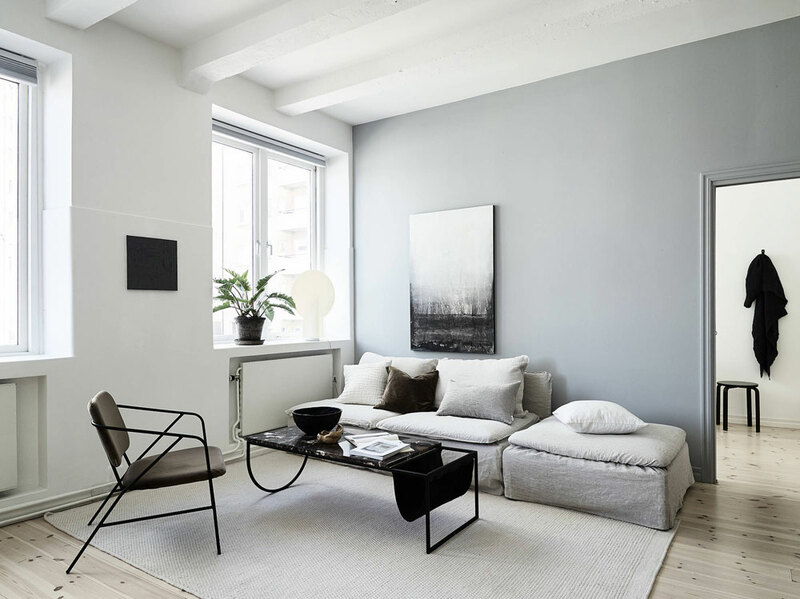 If you’ve been a reader of Nordic Design for a while now, you know that I have minimalistic tendencies and I am drawn to light and neutral spaces. 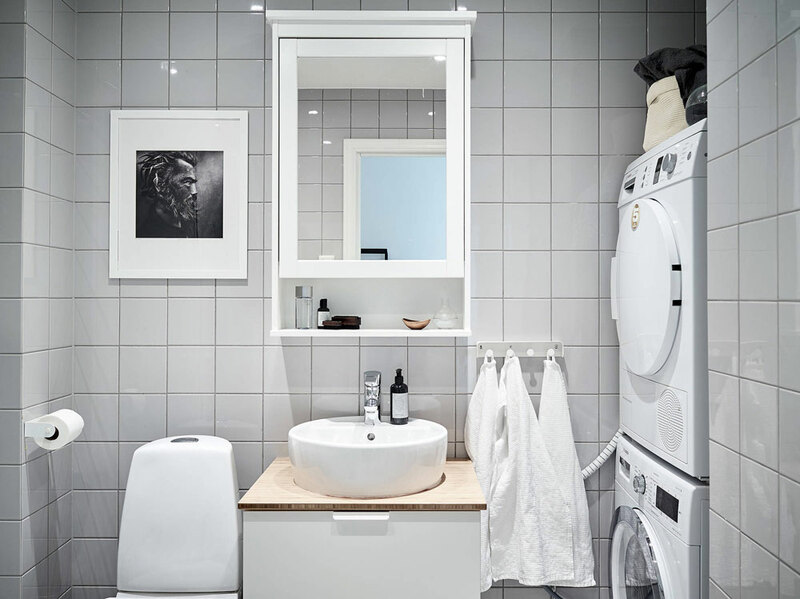 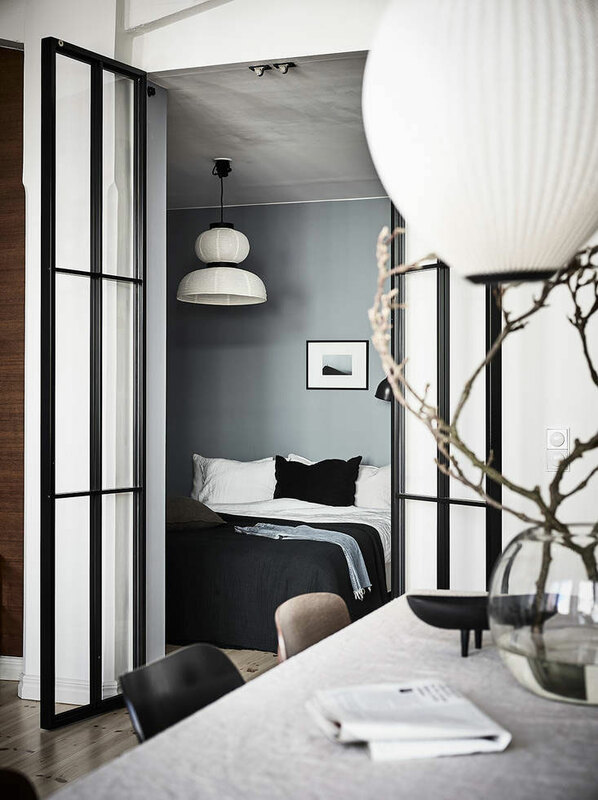 So it is no surprise that this Gothenburg home is right up my alley. 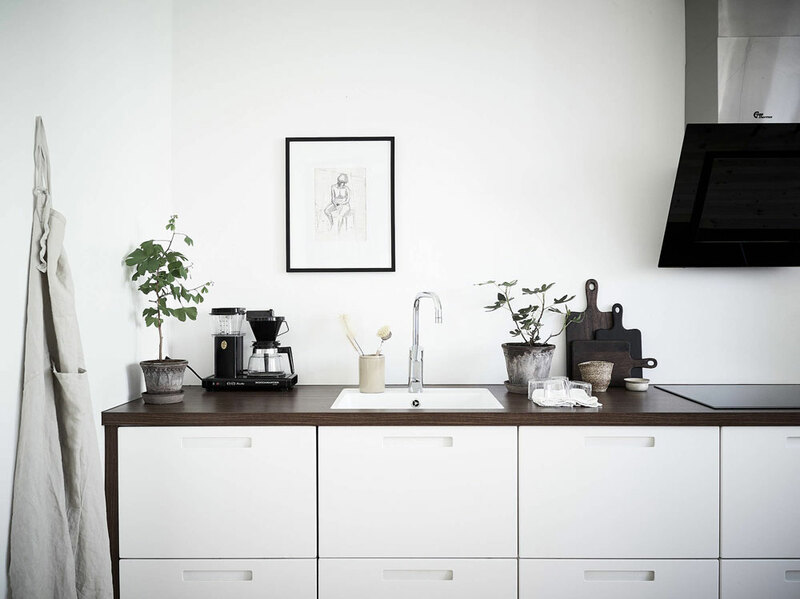 Functional and comfortable, the place is stylish, with a blend of fintage and modern pieces. 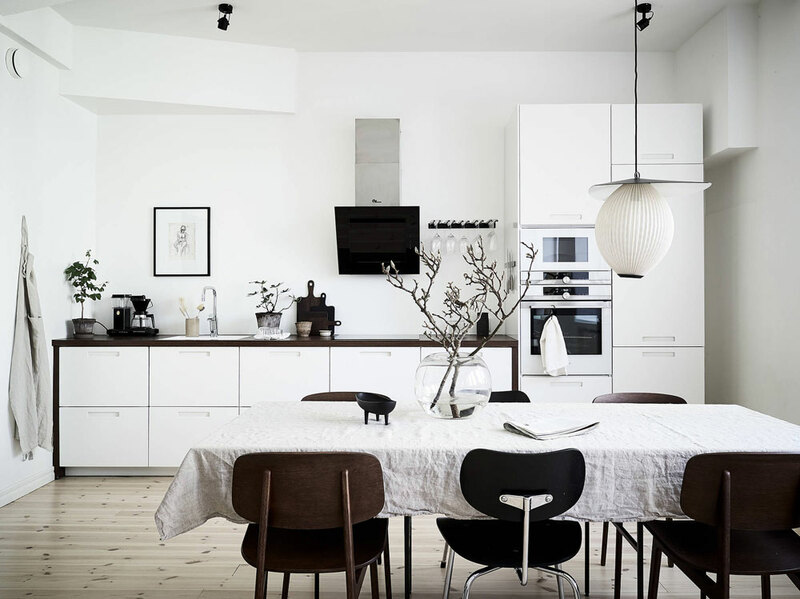 The muted palette of brown, beige, grey and white, with contrasting black accents, create a serene vibe throughout. 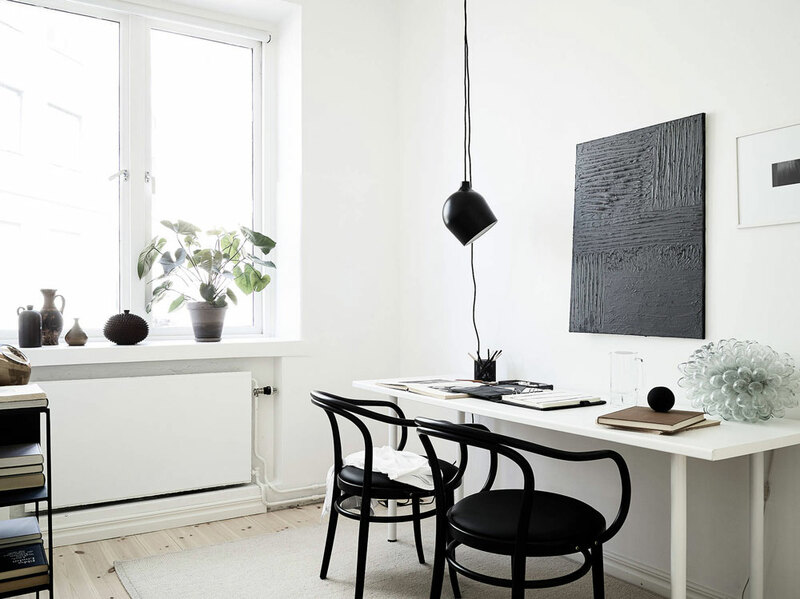 I find the overall look in stylish but understated, simple and relaxing. 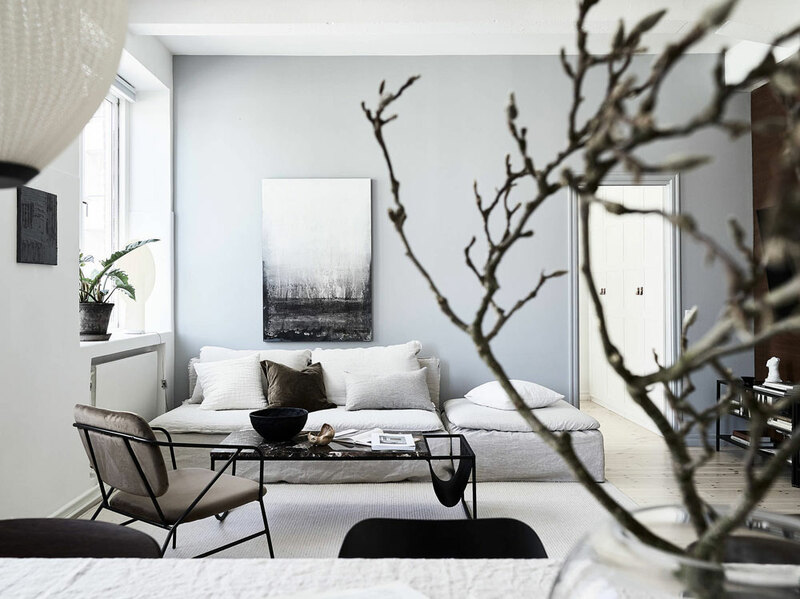 Notice the different textures – Linen sofa cover and tablecloth, woven rug, velvet upholstery, the marble’s swirls and veins, paper lamps, etc. 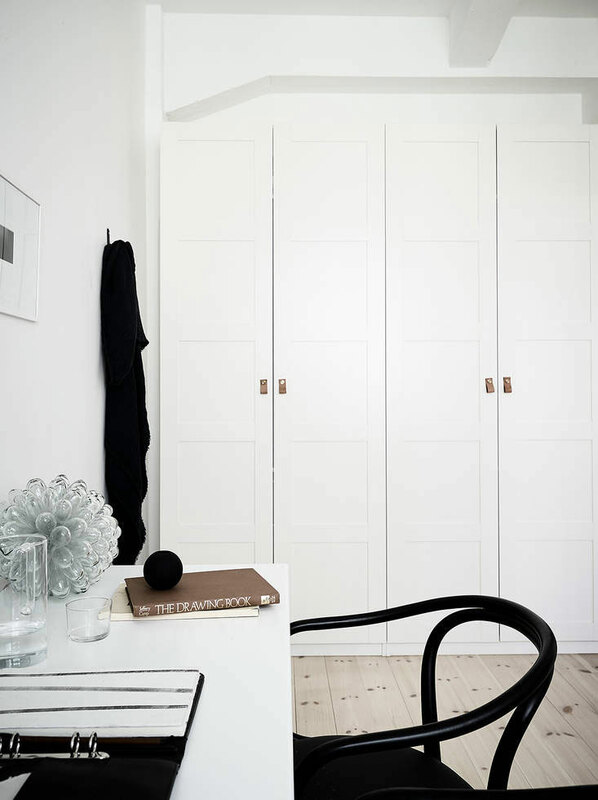 They bring textures, adding interest and preventing the look from falling flat. 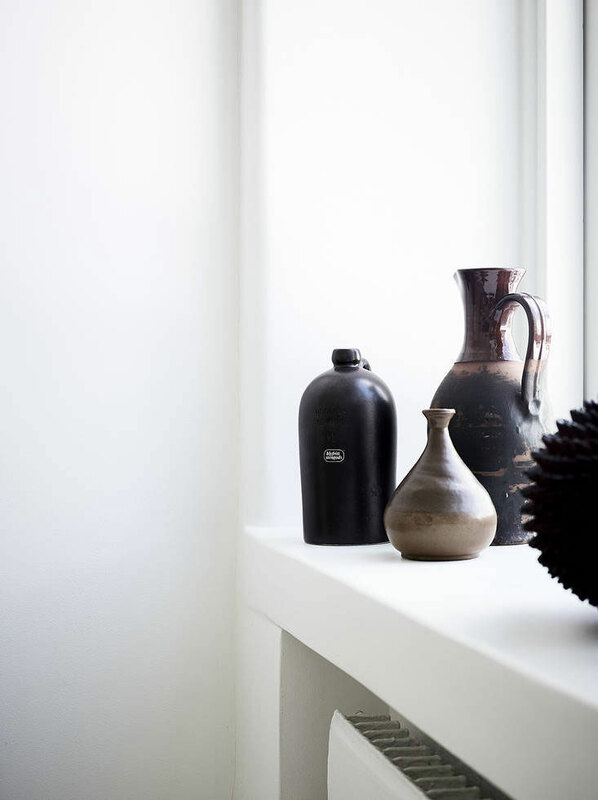 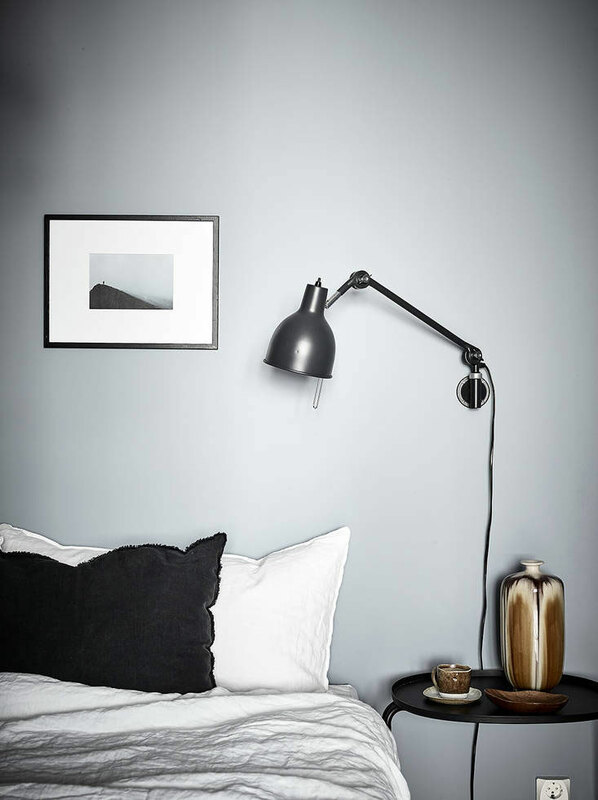 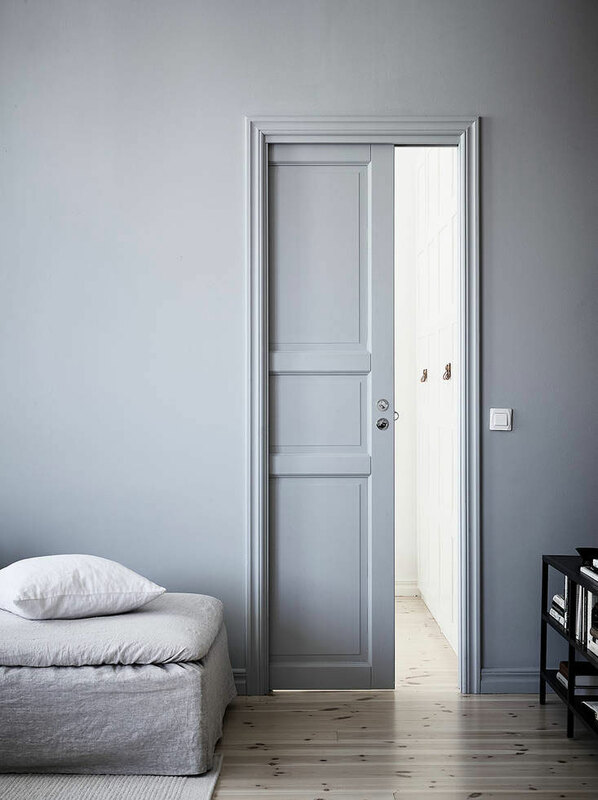 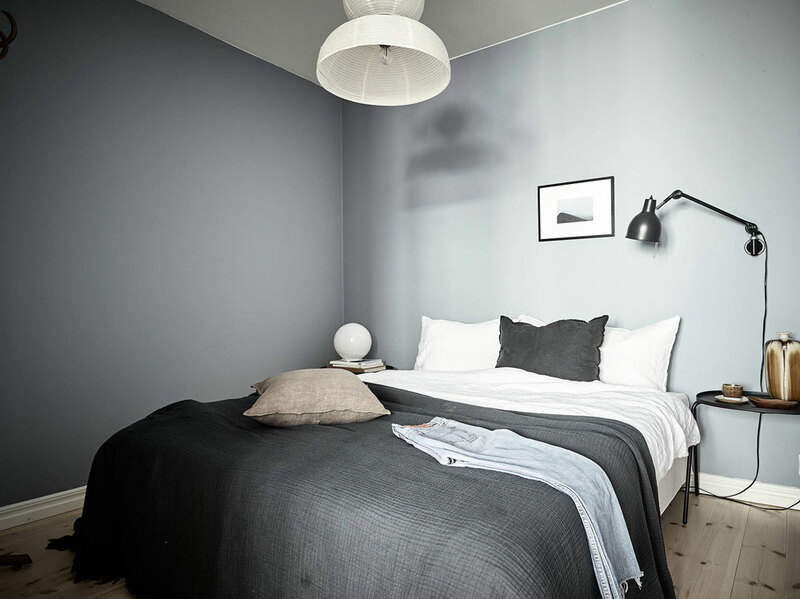 For a similar shade of grey, try Lamp Room Grey o(r Parma Gray for a more blue-ish tone) by Farrow & Ball.